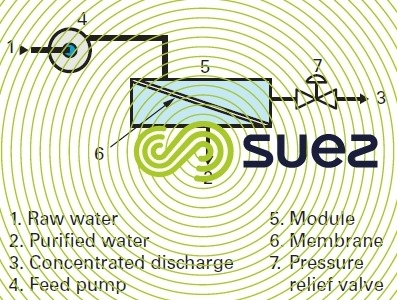 As already described in the section membrane separation, the principle of a desalination system operation can be outlined as seen in figure 7. The «feed» pump (4) and valve (7) are used for separate control of the feed pressure and the recovery rate Y – the crucial importance of which has already been stressed - (see section desalination membranes), (ratio between the permeate flow rate and the feed flow rate). 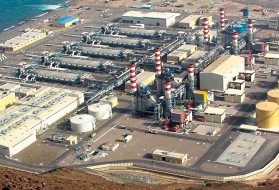 On the other hand, in desalination applications when we want both a high recovery rate (within the limits of the precipitation-scaling phenomena) and an adequate velocity through each module and, therefore, a low recovery in each of these modules, we can only achieve this by configuring a system that includes both a parallel layout of the elementary modules and either recirculation or the addition of a second, or even third stage in the discharge sequence (the first stage discharge feeding the second stage …).